Antonio Brown, a Miami native and Miami Norland alumnus, plays for the Pittsburgh Steelers. Within Florida, Miami produced 31 active NFL players and 20 players came out of Fort Lauderdale. 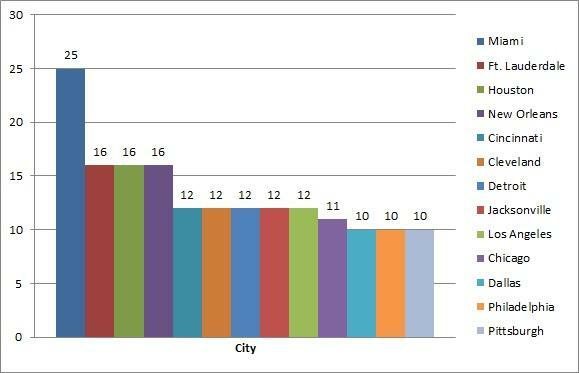 NFL players were asked where they grew up. So why is Florida producing so many professional football players? Several factors influence Florida’s success. Florida’s favorable climate permits football to be a year-round sport. Year-long rigorous training, including summer workouts and the actual in-season and offseason workouts all play a part in developing student athletes. Florida is a football-driven state. It is home to two National Football League teams that have won Super Bowls and three major college football schools that have won championships. The competition and culture are very much influenced by football. Florida is known as one of the powerhouse states when it comes to NFL players being drafted. Florida led the nation in the 2014 and 2015 NFL drafts in regards to draft picks. The reason is the rise of competition in the community, pushing athletes to develop and hone their skills as players at a younger age. 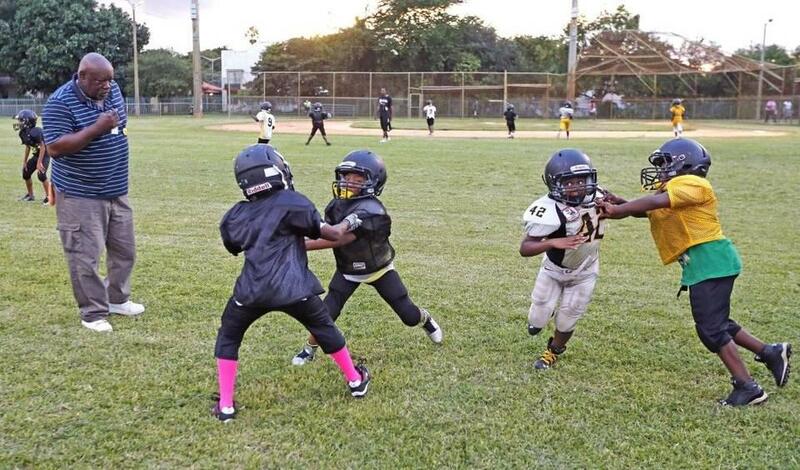 Coach Henry Farmer runs drills with players at Charles Hadley Park in Liberty City. With seven Division-I college programs and a few minor division teams, young athletes have to compete for limited spots with locals and numerous other athletes from outside Florida looking for eminence in the Sunshine State. Despite any setbacks, Florida continues to harvest football athletes at a professional level and has no intentions on hindering the growth.